Skylark Blog: Starting the Divorce Process: Part 1 - You have Options! 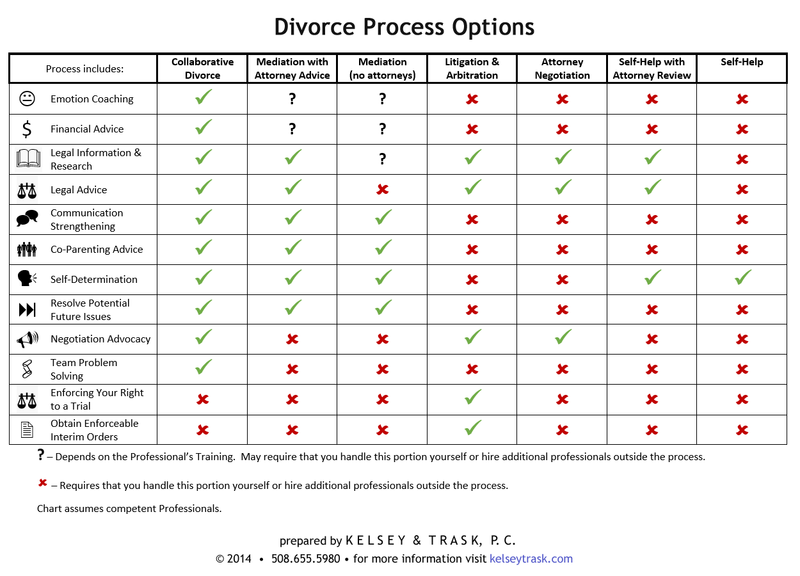 Starting the Divorce Process: Part 1 - You have Options! There are many resources available to help you answer the question "How do I Start the Divorce Process?" Unfortunately, many of them only tell you part of the story. This three part blog series will explore why that is and make an effort to gather all of the information in one place. In Part one we provide you with our answer to this question. In Part two we explore some of the other answers you might receive to this question and explain why they are incomplete. In Part three we provide a more complete answer with an in-depth summary of each divorce process option. How do I Start the Divorce Process? 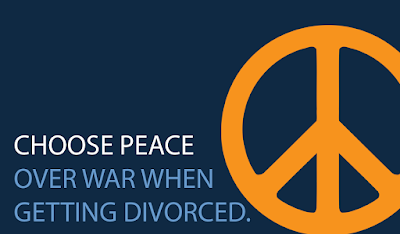 Divorce is a legal, financial and emotional process for ending a marriage. 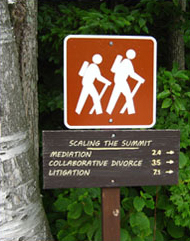 In Massachusetts the legal portion of the divorce is either contested or uncontested. “Uncontested” means that you both agree to the divorce and have reached a full agreement on all legal and financial issues. An uncontested divorce can be filed in Massachusetts using a Joint Petition for Divorce. A “Contested” divorce filing is called a Complaint for Divorce, which you can file if you are not able to reach agreement on all issues, or one of you doesn't want to be divorced. Either spouse has the right to file a Complaint for Divorce and seek the protections of the court and in some cases, such as where there is domestic violence or financial dishonesty, it is important to file the Complaint and start the court process. If it is possible that you and your spouse will be able to reach an Agreement, then you should consider starting with a process that leads to an uncontested divorce. 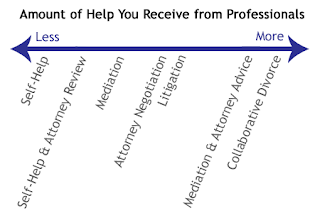 There are numerous options for settling your divorce case before filing the legal paperwork, including mediation, collaborative divorce, attorney negotiation, and more. When spouses are able to reach agreements, the risk of returning to court in the future is decreased, and when children are involved they will benefit from their parents learning to work together. Which option is right for you depends on how much help you and your spouse want from professionals and how much control you and your spouse want to have over the process. You should consider all of your options before deciding how you want to proceed. You may reprint or distribute this Chart on your website so long as the copyright and contact information for Kelsey & Trask, P.C. remains attached to the bottom of the image. Starting the Divorce Process: Part 2 - Is there a Wrong Way to Start? Starting the Divorce Process: Part 3 - What is the Best Way to get Divorced? 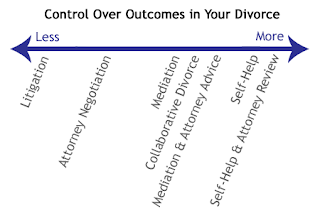 To learn more about Divorce, Mediation and Representation visit the Skylark Law & Mediation, PC - Family Law Website. 2018 Skylark Law & Mediation, PC -. Picture Window theme. Powered by Blogger.